This beautiful Narrow Rectangle Box with it's straight edges makes it very easy to work on. Add in a long satin pillow (not provided) and it’s perfect for those gorgeous strings. We manufacture corrugated boxes with all types of flutes according to the requirements of our customers. We are manufacturer of Narrow Flute Corrugated Box. 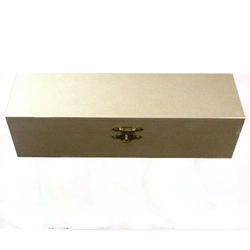 Being the most respected company guided by experienced professionals, we provide the best class N Flute Box. We are successfully meeting the requirements of our clients by manufacturing the best quality range of E Flute Corrugated Boxes. Keeping the variegated requirements of our customers, we are indulged in presenting a quality assured range of Narrow Flute Corrugated Box to our clients. This Narrow Flute Corrugated Box is used for packaging of different products. 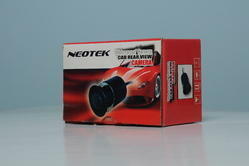 Besides, these products are available in variety of sizes and shapes to suit the client’s requirements.